After becoming less than enamoured with my Peaches & Clean cleanser, but unable to get to Asda to repurchase my beloved nSpa Hot Cloth Polish, I had a wee browse in Boots for a reasonably-priced cleanser which didn't contain SLS or parabens, and came away with the Hot Cloth Cleansing Balm from Boots' Botanics range. I've been using it for about five weeks now, and thought it was time to share how I've been getting on. would u like to exchange blog buttons? That's such a bargain. Sometimes I worry that blogging has made me a bit of a skincare snob, and that maybe I'm spending more on it that I need to when I could find good products for half the price. It's hard to know what the truth is really, as results tend to be long-term rather than immediately noticeable...argh. Haha. Might have to give this one a go soon as I'm going to have to tighten my purse strings a bit when we move house at the end of the month, and frankly I'm tired of spending out so much on products - no sooner have I bought one thing than something else runs out, it's like a never-ending cycle! This looks like a great product, I am one of those people who is really bad at investing in a great makeup remover, I always just use babywipes, but this definitely looks like something I need to invest in. Did not know that Botanics did one of these! :) I'm running out of my Liz Earle Cloth cleanser and looking for something cheaper, this sounds lovely! Will have to definitely jump in on the 3 for 2 offers! 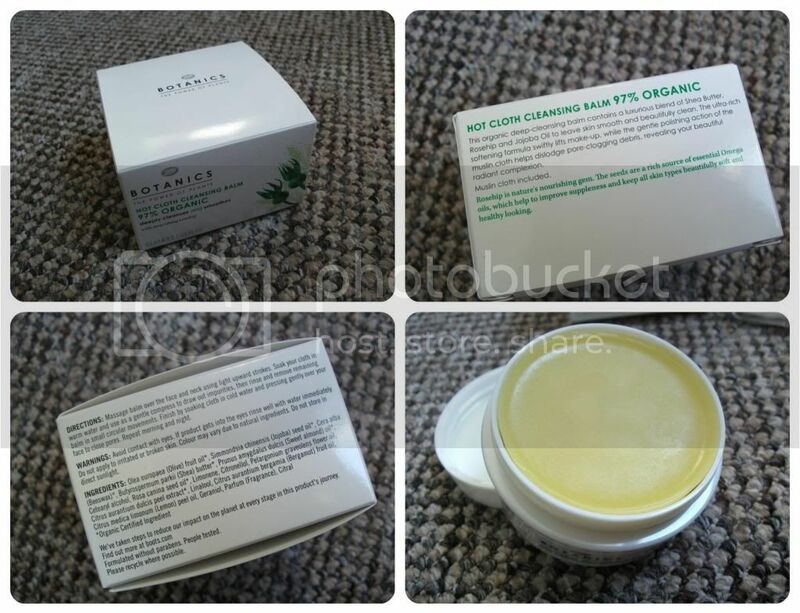 Glad to read some reviews on the Botanics..I am using a night cream at the moment and I bought it convinced to get a completely natural products ( without reading the ingredients properly) and I am not completely sure it is, although it is a very nice hydrating cream.. I would like to try this product, sounds worth it. A really good review Jess... Will check out on my next trip to Boots.